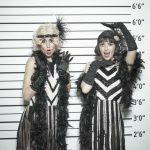 So why not let our very own Great Gatsby Girls and Vintage Show Girls take you back to the 1920’s, the swinging era of glittering Jazz and loosening morals……..With their sumptuous sparkling costumes and tongue in cheek Charleston routines this theme is sure to be a big hit with your clients/guests this year. 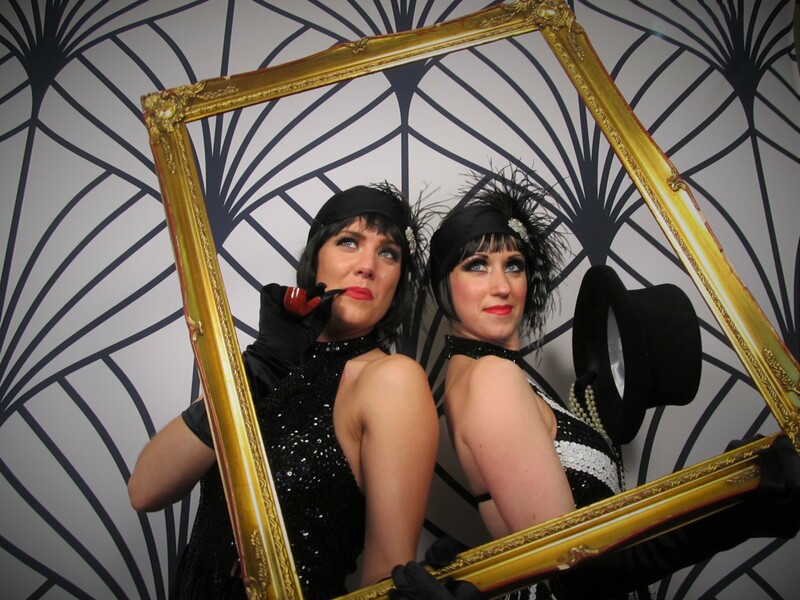 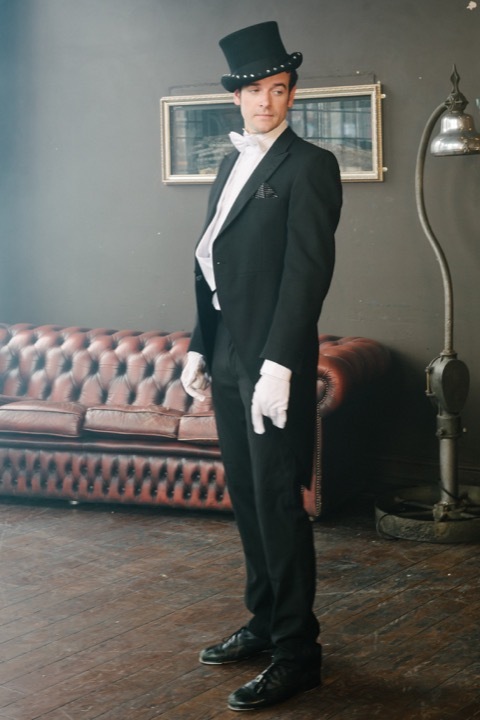 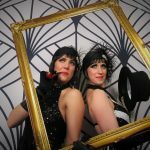 Setting the smouldering scene upon arrival our Gatsby Girls or Vintage Show Girls will be available to meet and greet your guests, freestyle dance to any jazz bands, pose for photographs and assist with drinks receptions. 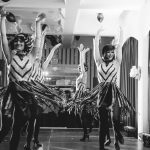 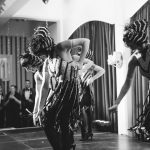 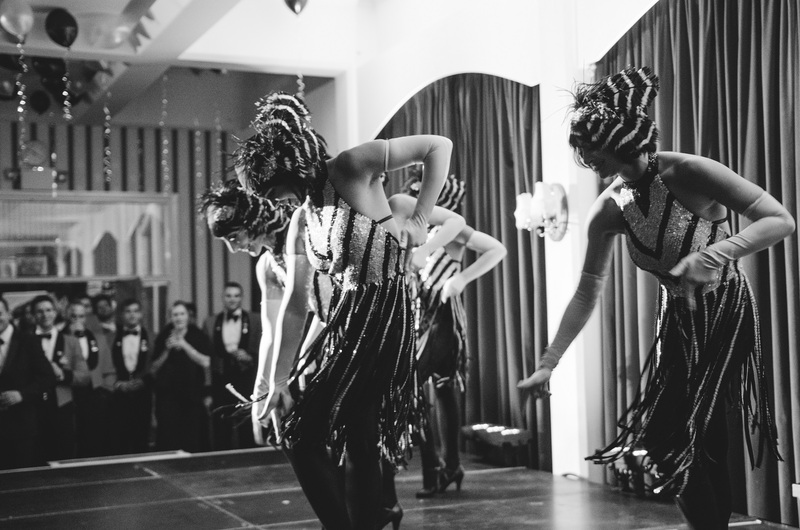 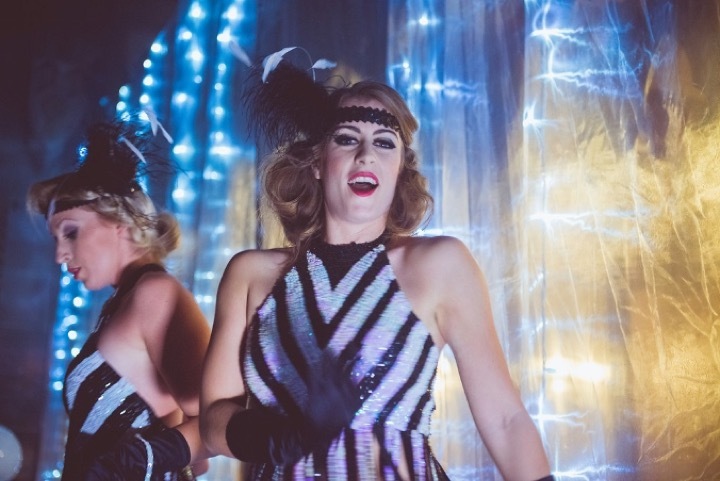 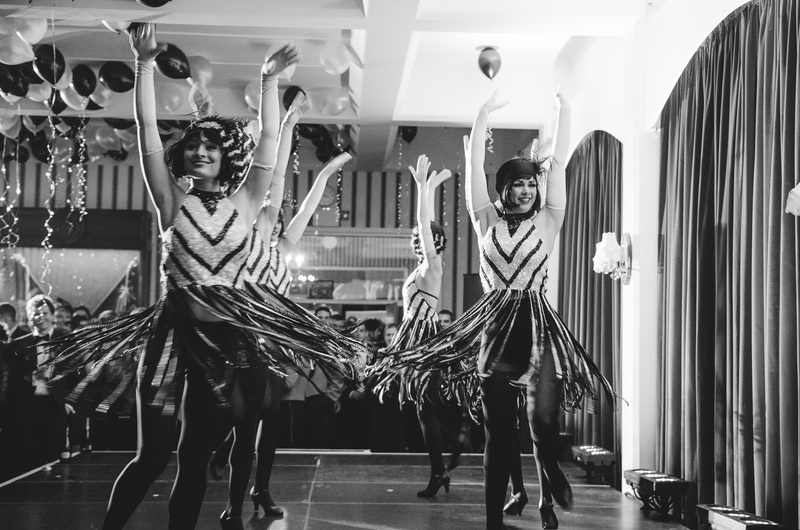 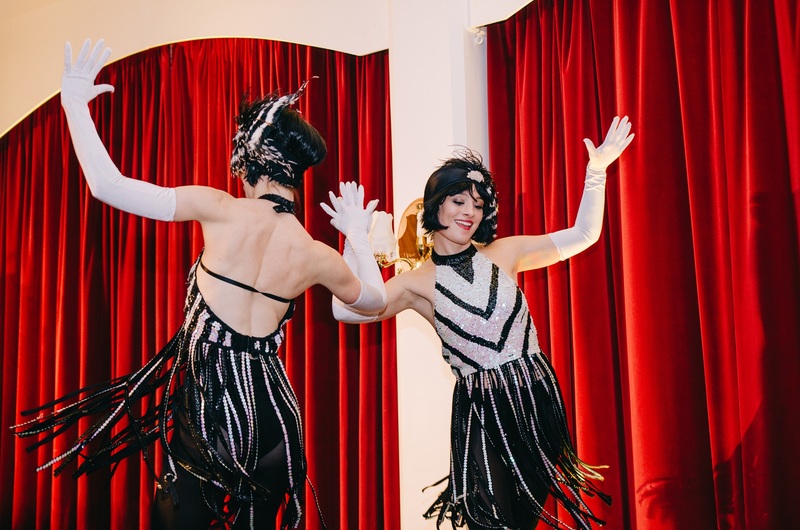 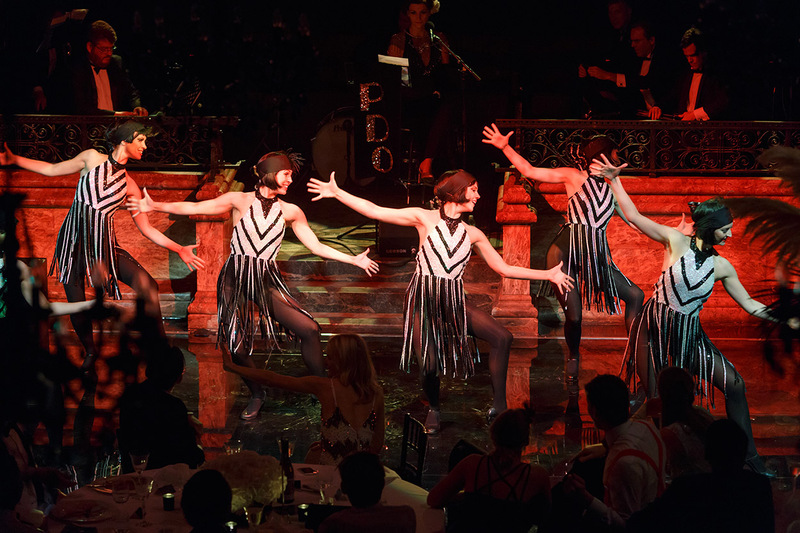 Performing high energy, fully choreographed 1920’s inspired Charleston dance routines our Great Gatsby Girls are sure to add that air of fun, elegance and sophistication to your evening. 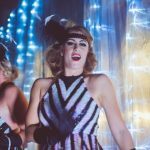 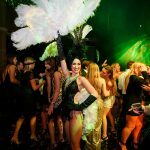 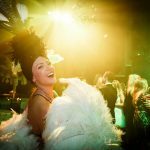 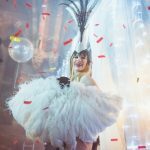 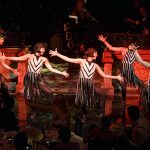 The Gatsby Girls routines can be performed either in between dinner courses or to open your evening’s entertainment with that real Wow factor. 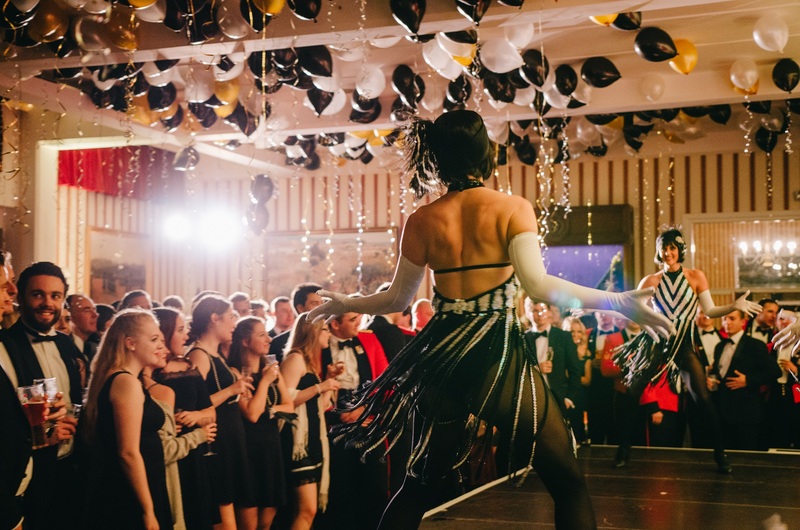 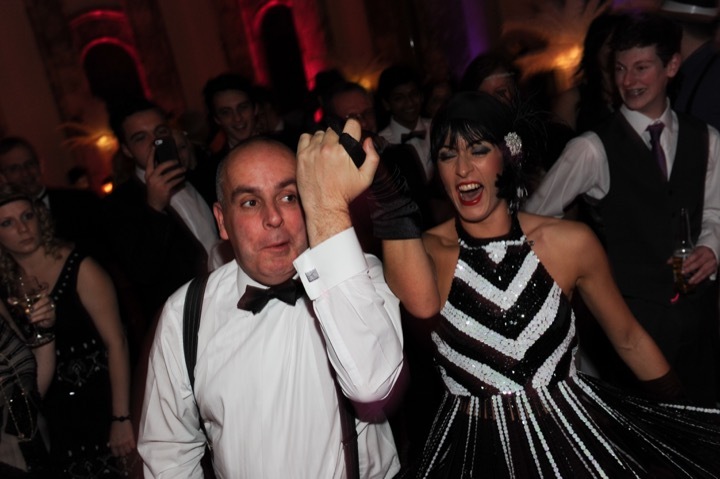 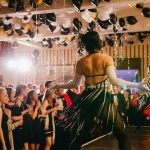 Why not take to the floor with our Gatsby Girls after dinner for a fun Charleston dance class to get the party really started where your guests can learn a mini routine of their very own! 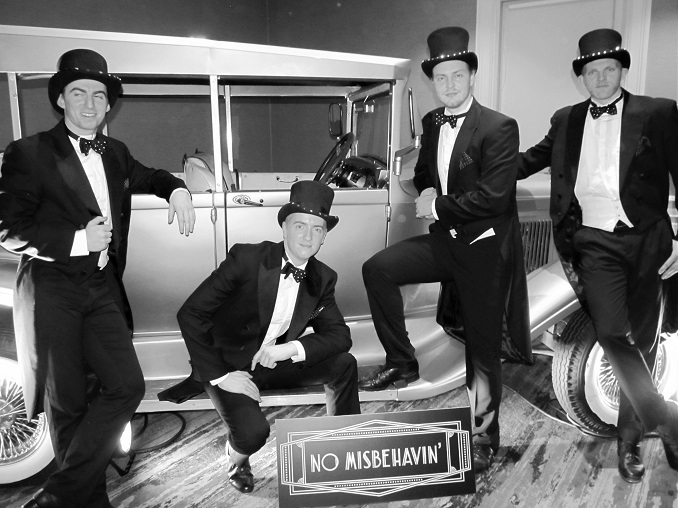 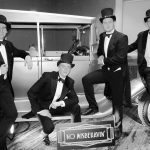 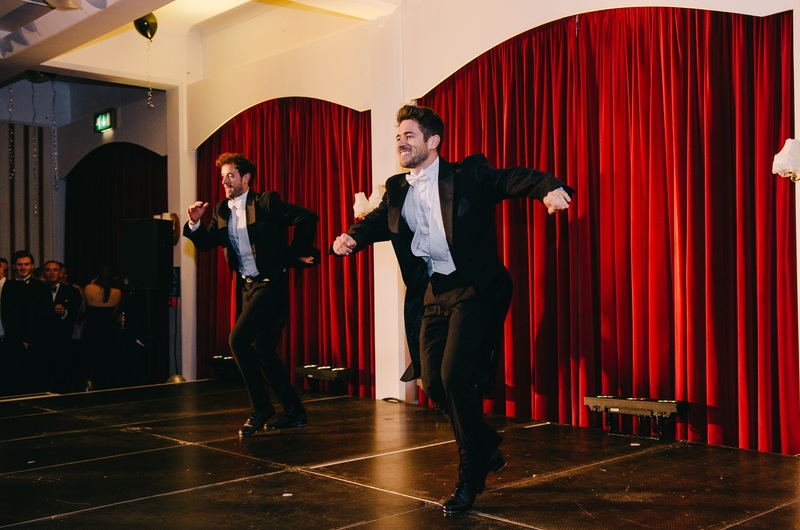 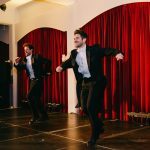 (longer performances can be created with the addition of our 1920’s male tap dancers and Vintage Burlesque performers). 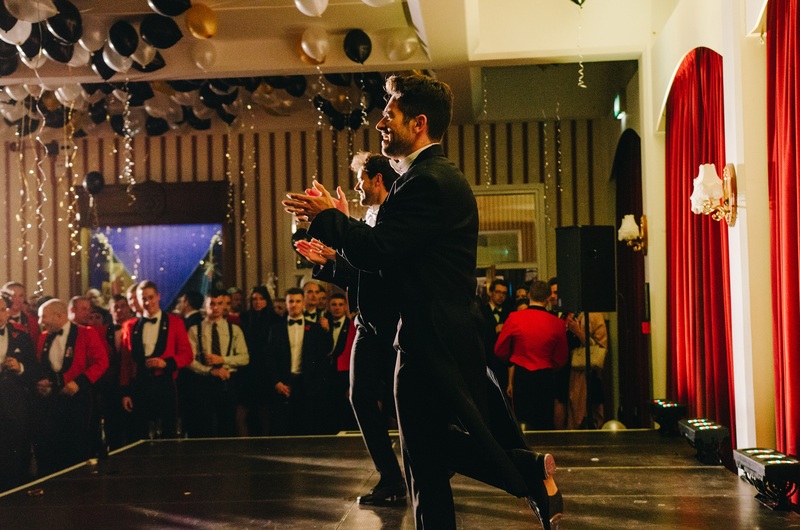 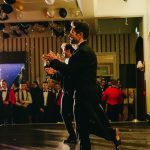 Freestyle dance sets with your DJ or band can also be performed as ad hoc/ambient entertainment throughout the evening in addition to assistance with awards/charity collections/auctions and sale of raffle tickets for Charity Events. 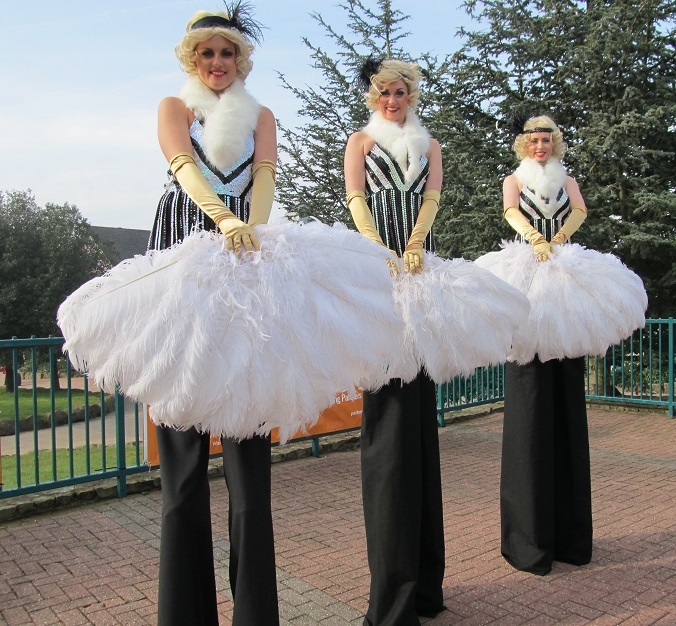 Our Great Gatsby themed stilt walkers really are a cut above the rest! 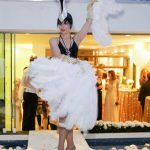 Meeting and greeting guests upon arrival they are sure to create a memorable and interactive experience for your guests. 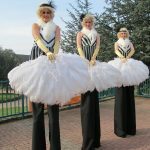 Our Great Gatsby themed stilt walkers can perform either 1 x 60-minute set followed by a shorter 30-minute set later in the evening or 2 x 45 minute sets. 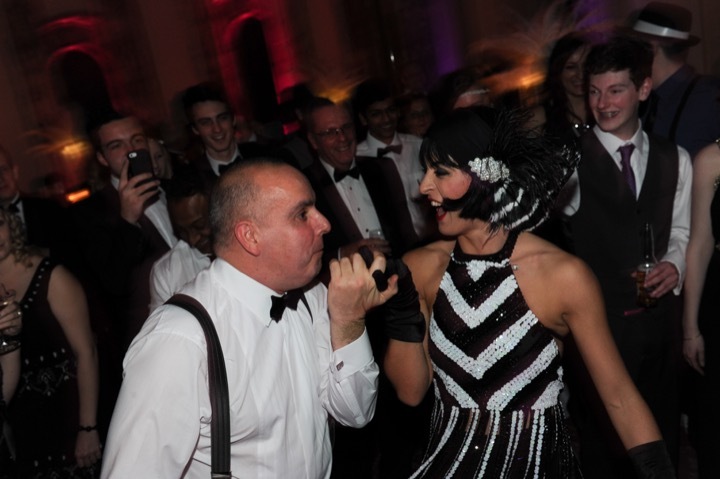 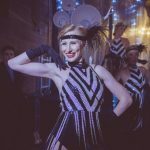 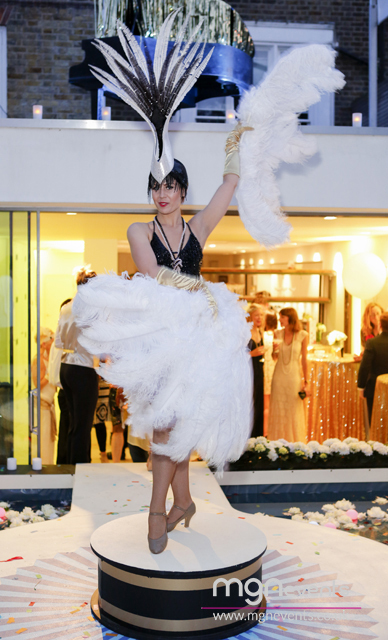 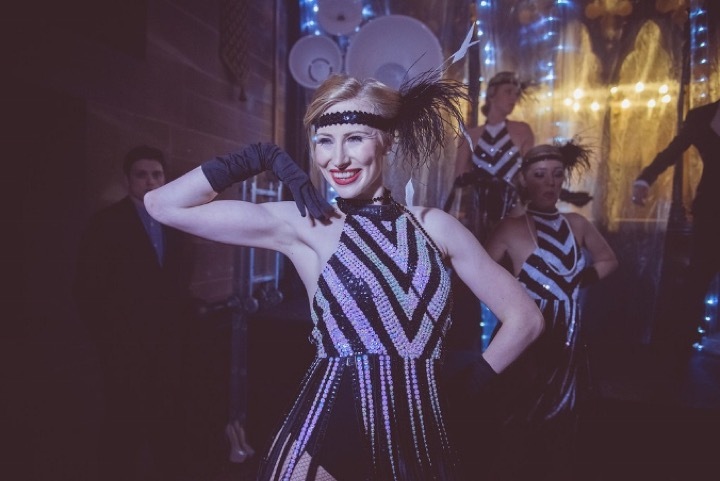 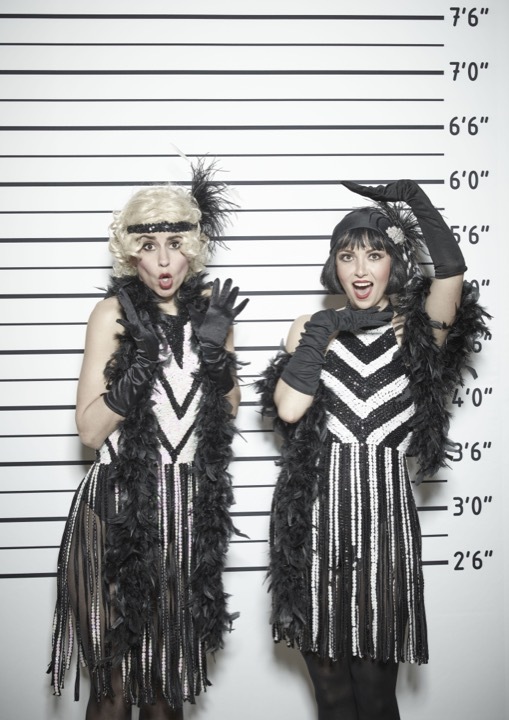 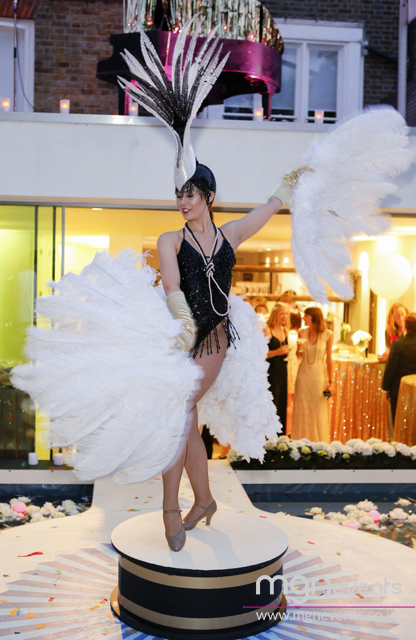 We are also happy to create your very own bespoke Great Gatsby package for your event – why not include our Great Gatsby themed stilt walkers and Vintage Cigarette girls for that extra special touch?